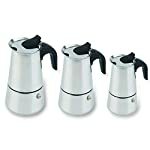 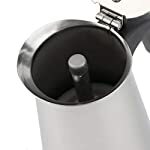 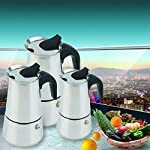 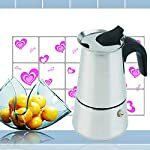 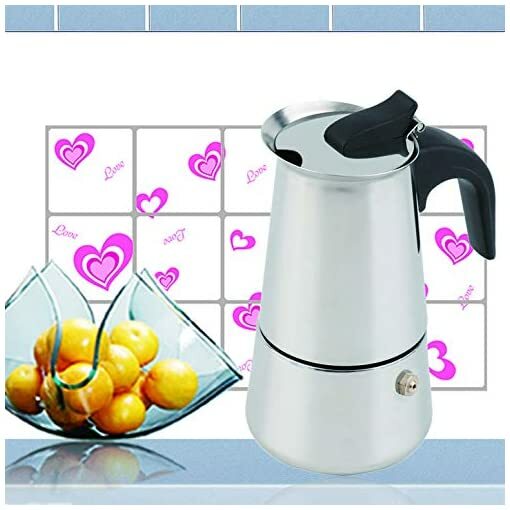 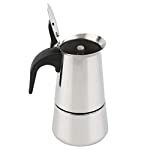 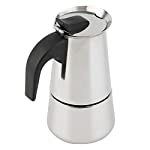 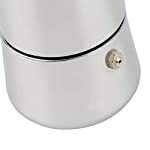 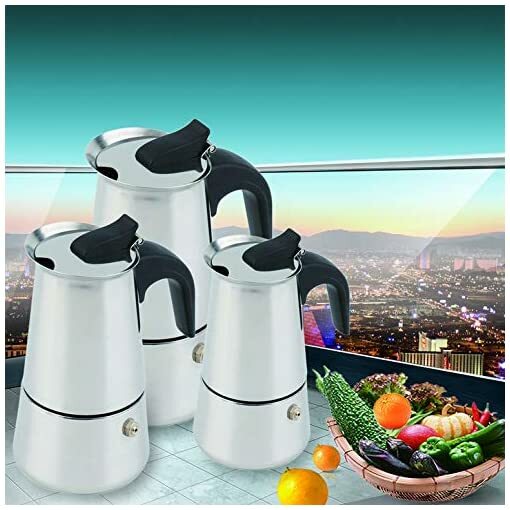 For an excellent cup of coffee this espresso coffee maker can be placed on most cooking appliance and in minutes you’ll be enjoying a superb full bodies cup of coffee. 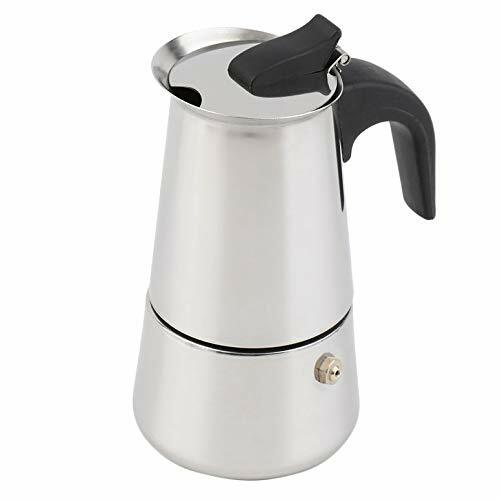 This coffee percolator sits perfectly on the top of your induction filling your kitchen with the lovely aroma of fresh coffee. 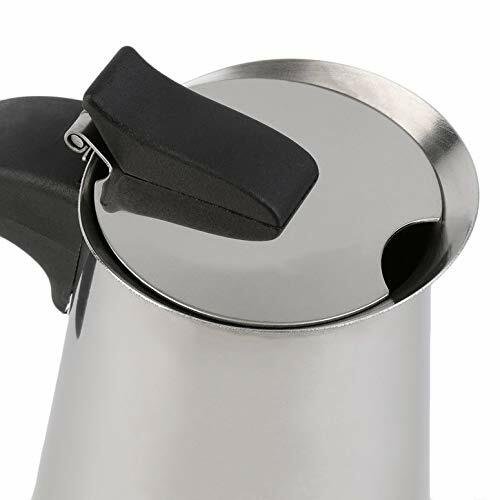 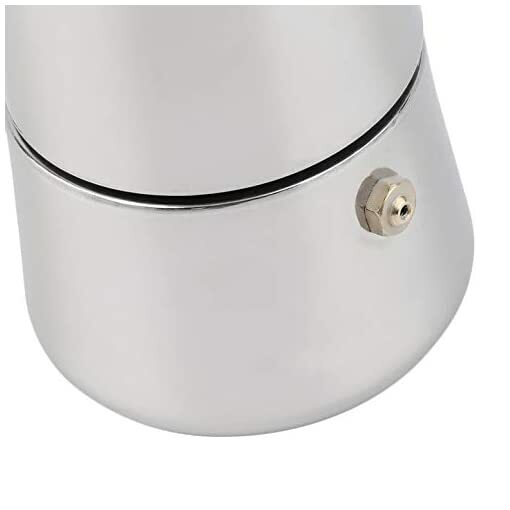 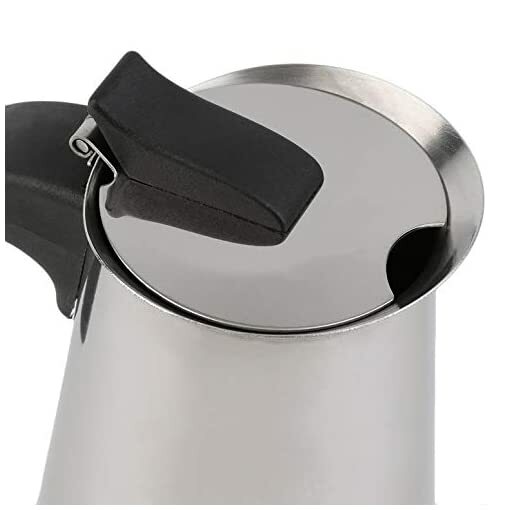 this coffee maker is stainless steel with a plastic handle which fits in thefortably. it can make the production processes easy and enjoyable. using: fill the lower chamber with water, place the filter in, then fill with medium ground coffee.